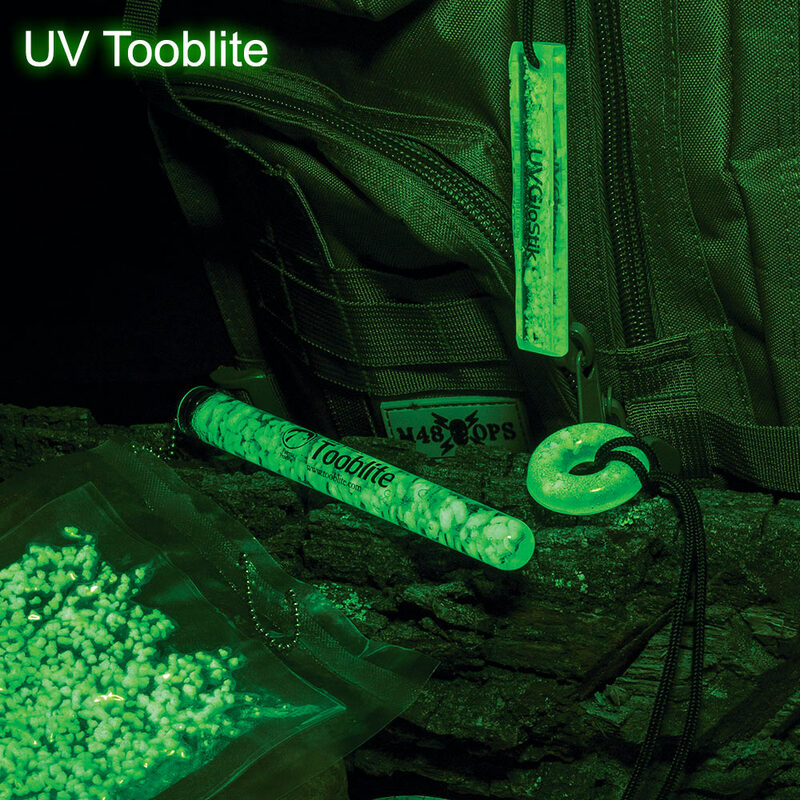 UV Rechargeable Glow-in-the-Dark Light Sources -Scout Pack | BUDK.com - Knives & Swords At The Lowest Prices! Providing you with a reliable light source that glows all night long and recharges quickly by absorbing light, these advanced glow lights will last forever. The glow-in-the-dark strontium aluminate crystals will not degrade over time nor wear out after a certain number of uses. They will keep recharging forever! 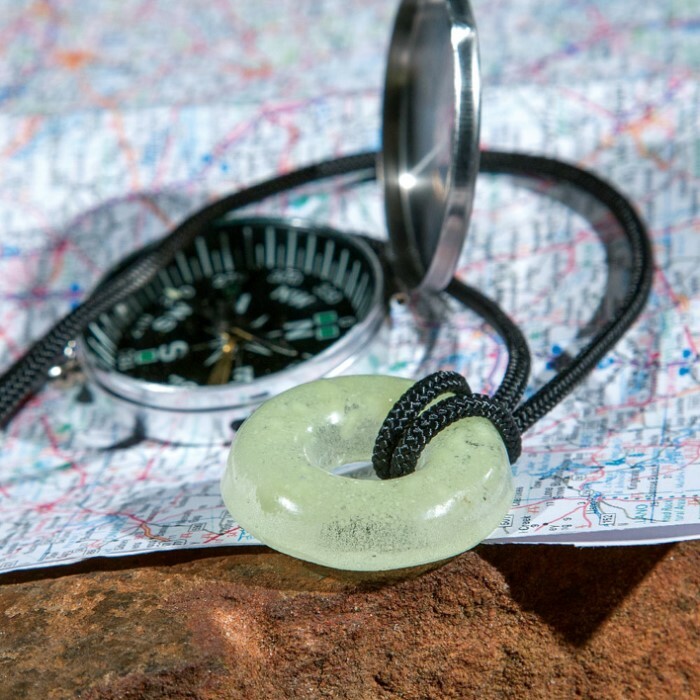 The crystals recharge by absorbing any light - sunlight, ambient room light or even a flashlight. They will fully charge in 1 - 10 minutes of light exposure and glow for more than 10 hours. 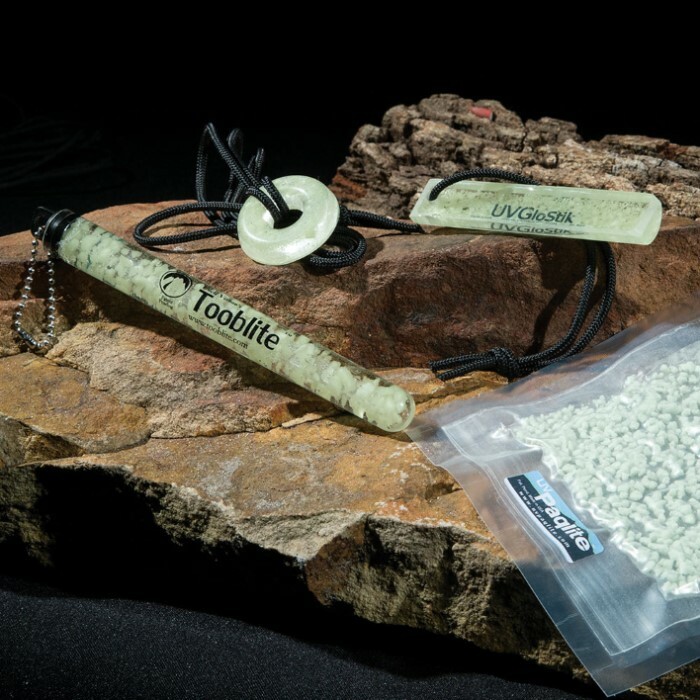 The Scout Pack includes a small UV Paqlite, UVO Necklace, UV GloStik and 6” Tooblite. I like it however just holding it over a lamp isn't gonna cut it. I suggest you get a high power light or maybe a uv flashlight to charge em up. Overall great product and I love it. I actually bought a pair of Tooblites, which I use to mark things in my house I tend to crash into in the dark, and a whole batch of the little donuts when you sold them separately. (Why no more donuts???) I have a black German Shepherd that sleeps next to my bed and I use blackout curtains in the bedroom. I can't tell you you many times the little donut saved me from stepping and/or falling over my dog. It's also useful for spotting dogs in the back yard after dark. No need to annoy them with a flashlight, just watch for the glowing donut---and it lasts the whole night!